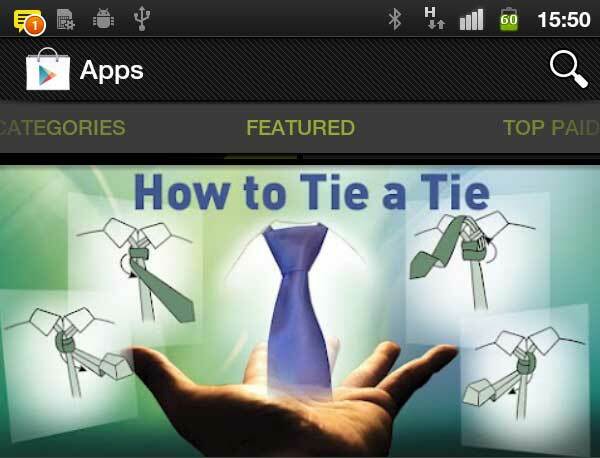 How to Tie a Tie is featured on Google play! Father’s Day is coming! To celebrate it and make a useful present to all fathers and sons, Google Play Store is featuring How to Tie a Tie on its main page! 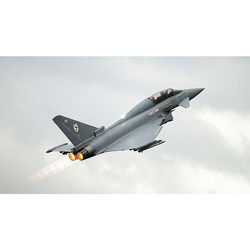 Launch Play Store on your device – and get free version of How to Tie a Tie! If you’d like to get a full collection of tie knots and get rid of advertisements, take advantage of our special offer – get the Pro version of How to tie a Tie at a reduced price of $0.99! The offer is valid for 2 days only! 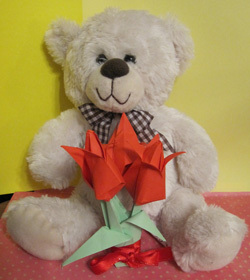 St. Valentine’s day is coming, and many people will be presenting gifts to their friends, relatives and girlfreinds and boyfriends. This is a wonderful time, when loving people show their care and attention. If you’ve got already in mind an idea what to present, think how you can decorate your St. Valentine’s gift so that it could be beautiful, original, and what’s more important – personal. 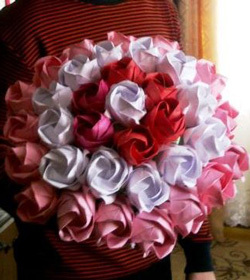 Sometimes, it’s just some fantasy and creative ideas that can help you make some beautiful gift decorations without spending much money and time. We’ve got some useful and extraordinary gift decoration ideas for you. 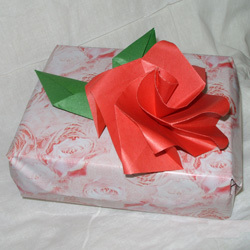 This time, to decorate your gift for St. Valentine’s day or any other event, you’ll only need some paper. 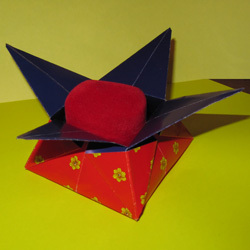 There are many origami decorations which you can use for decorating your gift, for example, origami roses, origami tulips and other flowers, origami gift boxes. 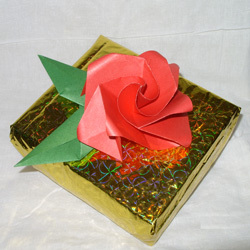 You can fold a rose and use it to decorate your gift box or you can fold a dozen roses to present them as an origami gift which you made yourself. Look at the pictures below which we’ve done for you and use these gift decoration ideas for your own gift! 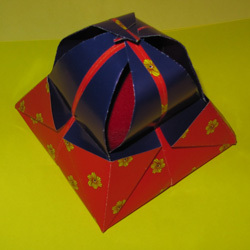 Use Origami Instructions app for iPhone, iPod and Android phones which will help you make various beautiful gift decoration in minutes.